To join the Amtech User Group, please visit the User Forum and Knowledge Base in iServe. The Amtech Users Group is a mutually beneficial partnership between Amtech and the users of our software packages. Amtech benefits from the input of the users, providing feedback as to enhancements and the future direction of the software package from a user perspective. The users benefit from the information sharing among Users Group members, Amtech's commitment to provide programming hours for enhancements and the power of a structured, organized group with common goals and objectives. In order to join the Amtech Users Group Forum, you must register on the Users Group Forum website. You can access the Users Group Forum by clicking the link below or the right side menu. Once on the forum page, must click on the register link located next to the login link on the upper right hand of the screen. When you "register" to the forum, you will receive an email notifying you that your application has been received and is currently being reviewed. Once your application is approved, you will receive another email notifying you that your account has been authorized. Once you have been granted access to the new Users Group Forum, make sure you read the Registered Users Guide found in the Files Forum. This will help acclimate you to the new forum, and will walk you through all of the newest features. The User's Group is run by the users and for the users. The structure of the group consists of a President and an Advisory Board. The Advisory Board consists of ten members including the President. There are members from both industries on the Advisory Board. The President and the Advisory Board members can be contacted regarding any User Group question, comment or concern. The Advisory Board typically meets monthly via teleconference to work on User Group issues. Increase the effectiveness of the user group. Increase the number of User Group members. Increase information sharing among members. Improve communication methods for the members. The Amtech Users Group is led by an Advisory Board made up of ten individuals. There are representatives from each industry, folding and corrugated. The Advisory Board is responsible for all of the "behind the scenes" work that enables the Users Group to function. The Advisory Board meets monthly via teleconference and during each User Group Meeting. The Advisory Board is here to represent each and every company in all of the User Group decisions. They are your direct link to the group, so please feel free to contact any board member with your questions, comments or concerns regarding the group. Be an active user of the EnCore or Imaginera software package. Have at least 2 years experience using the EnCore or Imaginera software package.. Obtain a commitment from your company to attend at least two User Group meetings annually. Commit to meet via teleconference monthly. Have your contact information shared with all EnCore and Imaginera users. Commit to spend the appropriate amount of time to complete User Group projects. If you are willing to meet the above requirements and are interested in becoming an Advisory Board member, please send your request to Casey Shaw, Current AUG President. We will maintain a list of interested persons in the event an opening becomes available. Please feel free to contact anyone on the Advisory Board. Amtech donates 1200 hours of programming time bi-annually for enhancements the Users Group identifies. At the present time the only avenue for enhancement submission is through the User Group meetings. During each meeting, a large block of time is dedicated to enhancement submission and prioritization. Ten enhancements from each meeting are submitted to programming for completion. Not only do the meeting attendees prioritize the new enhancements, but they can also choose enhancements submitted from a previous meeting to form the "top ten" that goes to programming. The "top ten" is established by each attendee voting for five different enhancements, new or old. All votes are tallied, and the ten enhancements with the most votes become the current "top ten". During each User Group meeting, the latest batch of enhancements will be shown through a demo. Meeting attendees will be the first to see and use the latest enhancements that are completed. If your enhancements are not selected for the "top ten", you have several other options. First, your issue may make the "top ten" during the next meeting. Second, if four other people voted for your enhancement, chances are they might be willing to share the cost and you could have it completed at a substantial savings to your company. 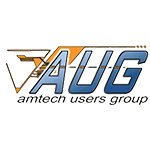 The Amtech Users Group Advisory Board with the direction of the Users Group offers two Users Group Meetings annually. The meetings are held in Spring and Fall, with exact dates announced as early as possible. During the years where Amtech holds their Users Conference, one meeting will be held in conjunction with the Conference, usually beginning as the Conference ends. The other meetings will be held in different geographic locations to make it easier for more people to attend. Our goal is to present the opportunity to have each company represented in at least one meeting annually. The success of the Users Group depends on user participation! Network with your peers (Opportunity to learn from and meet other users). Receive training on the latest User Group enhancements. Receive informal training and consulting time with Amtech Analysts. Provide valuable input to the Advisory Board as to group direction, goals and objectives. Provide input to Amtech on new and existing products. Develop and prioritize the User Group enhancement list. Ensure your company's ideas are represented. The schedule for upcoming meetings is posted on the files forum as soon as it is known, as well as on the Amtech Events page. Registration forms and agendas are also posted on the forum to help you make plans to attend.